Shouts of, “Go team, go,” are coming from a lot of football fans starting this weekend when the college season gets underway followed by Thursday night NFL regular season action. Let your dog get in on the fun with a colorful team jersey (college or pro), bandana or collar, select cheerleading outfit or durable football toy from the Posh Puppy Boutique. One of several styles of dog football jerseys, many of which can be personalized. Examples of our college football jersey selection for dogs include this Notre Dame White version ($32). This officially licensed product can be personalized with a name up to 12 letters, numbers or spaces. Sizes range from petite to 5XL. Our Texas Tech Red Raiders mesh jersey ($23) just needs some shoulder pads and your dog will be ready to carry the ball to glory. Sizes range from XS-L.
How much dog-designed football gear does the Posh Puppy Boutique carry? Here’s an example from the heart of football country: Chicago. Chicago Bears pro fans rejoice: take a look at the wide selection of pet accessories the Posh Puppy has just for you. We sell 3 variations of this jersey, including one in pink. Items include: two styles of Bears Dog Jerseys ($32) in sizes from S-XL and XS-L, a pink jersey (just like we have for many other teams) for $27 in XS-L, a Chicago Bears Cheerleader Pet Dress ($27) in XS-M, a rugged Bears Harness Vest ($27) in S-3XL that can be worn over outfits, a Classic Leather Football Collar ($31) complete with laces in Toy-Large (matching leashes $20-$35), a Bandana Collar ($14) that combines the color of a branded bandana with the convenience of a collar plus a Chicago Bears Dog Puffer Vest ($45) that is perfect for those Windy City fall days. And Bear fans, don’t forget about the football dog toys. There is the traditional plush rope toy ($18), the pebble grain (more like an actual football) rope toy ($18) and new this year, the Field Tug Toy ($14) designed for two dogs or dog vs. human play, all featuring your Bears logo. And if that isn’t enough, the Posh Puppy Boutique also sells team logo stainless steel pet dishes ($27) and rectangular pet beds ($54) that measure 27 by 36 inches. Even if you are not a Bears fan, fear not: many of these same pet outfits and accessories are available for other pro and college teams. Either search online or give us a call at (888) 837-5230. Tell them you read about it on the Posh Puppy Boutique Blog. Designer Judson Beaumont created two small trailers that are purrfect for cats and small dogs. 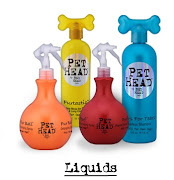 Now you can find them exclusively at the #1 site for couture pet clothing and accessories, including haute couture bedding, the Posh Puppy Boutique. Check out the Pet Camper Retro Trailer Bed ($1,995) inspired by vintage camp trailers of the 1940s and 50s. Handcrafted one at a tie, each trailer can be customized with your choice of colors and materials. Did your grandfather or great-grandmother tell tales of going camping in something similar? Listening to the sounds of the wild, whether at the beach, the mountains or even in the backyard? Renew your connection to those bygone days with a pet bed that includes a personalized license plate, stainless steel cups and a batter-operated LED light inside. They are designed for pets up to 20 pounds though larger models are available on request. Other optional custom details include hardwood, carpet and tile. Call us for additional details at (888) 837-5230. Note: these custom products typically take 4-6 weeks to ship. Also available from Judson Beaumont is the Pet Camper Retro Trailer Bed-GRRR ($1,995). Similar to a tear-drop style trailer, it uses his same meticulous attention to detail to create a mobile work of art that functions as a sleeping place for your pet. If boating is more your style than camping, consider one of our Rowing Beds ($124) in navy or red. These boat-shaped beds use a solid color scheme topped with an anchor applique and rope. They measure 17.7 inches by 23.6 inches by 3.9 inches deep. The Posh Puppy Boutique is known for its eclectic selection of unique pet beds found nowhere else. Take some time to peruse our extensive selection of Novelty Beds (like this bright red Furrari at $248 for dogs who love to run) and furniture style beds. For example, our Pierre Spa Bed ($806) combines contemporary and innovative design with a zebra wood veneer, chrome feet and a plush cushion. This bed is more than just an ultra-comfortable place for your dog or cat to take a nap, though. It includes the Far Infrared radiant heat from the Fauna Sauna that provides the sun’s warmth without the harmful ultraviolet rays. You dog or cat has given you years of love: return the favor with a bed designed to help them deal with arthritis, joint pains, stress and anxiety and other ailments. 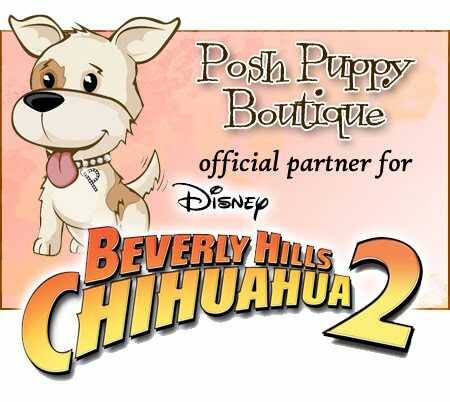 Find all of these beds—and tons of designer pet clothing and accessories, too—at the number one place to shop for quality pet products: the Posh Puppy Boutique. Connect with us on Facebook, Twitter and Pinterest or call us at 888-837-5230 with any questions. Many school-age children are heading back to class either this week or next. Why not send your pooch back to school—obedience school—at the same time? The Posh Puppy Boutique can help motivate the humans and the pooches with school-themed pet clothes and healthy dog training treats. “Give me a ‘W’. Give me an ‘O.’ Give me another ‘O’. Now give me an ‘F.’ What’s that spell? I can’t hear you. What’s that spell? Yes, woof, woof, woof.” If a cheerleading dog could talk they might say something like that. P:inkaholic New York makes this cheerleading dress in navy and pink. Well, the Posh Puppy Boutique has a Cheerleader Dress ($36) from designer Pinkaholic New York. Available in small, medium and large sizes, the design combines stripes and solids. It is decorated with frills and ribbons. Color choices are navy and pink. Why dress your little girl like a cheerleader? So she can send your little human ones off to school with a smile on their faces and welcome them with more smiles and lots of kisses when they get home. Wooflink makes this lovely schoolgirl dress. A matching boy's outfit is also available. We also have this gorgeous preppy dog School Girl Dress from Wooflink now on sale for $52. It features a cardigan look top with a bow, a layered skit and Wooflink logo embroidery. The matching School Boy All-In-One Outfit ($61), also from Wooflink features a cardigan look with gold buttons and comfortable black pants. Six sizes are available for each. When the kids are at school, it’s time to teach your pet a new trick. Edible rewards are a great way to do it. One unique method of dog training is the MannersMinder Remote Reward Training System ($178) that gives your dog a treat for positive behavior. Follow the link above to learn more. Another option, whether using a clicker or voice commands, is by rewarding your pet with a tasty treat for positive actions. Sojo’s Good Dog Treats ($9) are wheat and corn free. The small bone shape makes them the perfect training treat for big dogs and tiny ones, too. Several flavors are available. Best of all, each 8 ounce box contains a lot of treat so your dog will get a reward without being filled up. Chicken Littles Treats ($11 for a 5 oz. bag) use dehydrated chicken and long grain brown rice as the main ingredients in a treat that is sure to have your dog performing for more. Organic coconut flour is the primary ingredient in these training treats. CocoTherapy Five Star Organic Training Treats ($11) is perfect for pets allergic to grains and gluten. The organic coconut flour mix supports skin, coat and digestive health. The treats come in Coconut Bananas Foster and Coconut Gingered Pumpkin. These are just a tiny sampling of the many school and pet training-related items you can find at the Posh Puppy Boutique. Identify your dog with grace and a whole lot of style with a new name tag from the Posh Puppy Boutique as the second step in giving them some serious protection. The first step is slightly painful: injecting a microchip about the size of a rice grain between their shoulders. Among the organizations keeping track of pets, and reuniting them with their owners, is PetKey. Noted “dog whisperer” Cesar Milan states that microchipping is affordable—between $25-$50 per animal depending on where you go—and help bring your precious pup home. PetFinder explains how microchipping works and key advantages over collars and tags. The biggest problem with microchipping, though, is only shelters and some vets have the scanners required to read them. The average man, woman or child who see a lost dog or cat will have no idea if your dog is chipped. The only way they will find out is by bringing your pet to a shelter or vet. That is where a good, bright collar and tag come in. Hopefully your dog (or cat) will never be separated from you. But if that misfortune were to occur, having important information etched or stamped into a tag can make all the difference between heartache and celebration. The Posh Puppy Boutique has a wide selection of tags to pick from. Be unique and go with a Hand Stamped Custom ID Tag. Available in a host of styles with more than 60 to choose from, many of these tags let you enter two lines of text, such as a name and phone number. This information is permanently stamped into the metal making it impossible to wear or rub off. One of our most popular tags is the Custom Aluminum Domed Circle now on sale for $34! It’s lightweight and measures 1-inch in diameter before being hand stamped and hammered. Though dog bone tags are common, few pooches walk around with a Copper Bone ID tag, now on sale for $32. These hand-made tags measure 2 inches wide by 1 inch tall making them perfect for big dogs and those who are small in stature but with big hearts. We also sell several variations of this Rustic Triple Disc Pet ID Tag, now on sale for $41. Made with discs of copper, brass and aluminum, each disc holds one line of text. The Bella Pet ID Tag, now only $32, is square and features sprigs of lilacs cascading down to your dog’s name. Available finishes are brushed aluminum, weathered copper or brushed nugold. These are just a small sampling of the many dog tags—not to mention couture fashion dog clothes, beds, toys and accessories—available from your source for top quality pet fashions: the Posh Puppy Boutique.